The HabCam V4 vehicle was designed and built for NOAA Northeast National Marine Fisheries Service to survey offshore sea scallops. It is towed on a fiber optic cable with a slip ring used at the winch. Like its predecessors, the cable terminates at the vehicle into a oil filled j-box providing access to power (120 VAC) and optical communications. The HabCam V4 is equipped with stereo cameras and is the first imaging vehicle to incorporate sidescan acoustics. 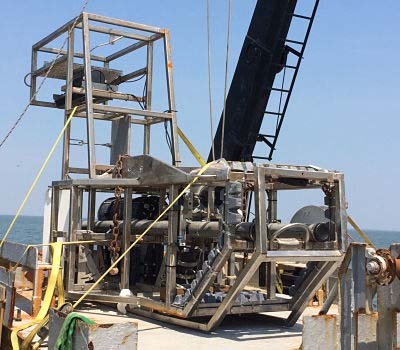 A Teledyne C3D bathymetric imaging 200 kHz sidescan is built into the large tail off the stern of the vehicle to provide as great a distance from the seafloor while maintaining a ridged integration between the stereo cameras and the acoustics. 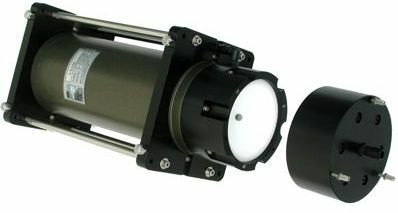 Other sensors include CTD, fluorometer, transmissometer, dissolved oxygen, a CPICS plankton sensor (http://oceancubes.whoi.edu/instruments/cpics/html), a Hobi Labs a-sphere absorption spectrometer to allow for understanding absorption of light at various wavelength to assist in color correction of the images. Subsea, sensors and camera signals are packetized into a gigabit Ethernet signal and transmitted to the surface. A bi-directional Ethernet LAN is established using a Optolink optical transceiver over a single fiber using two wavelengths, 1280 and 1350 um. 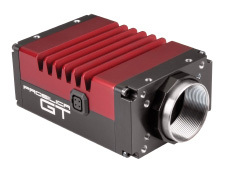 A single 12-bit machine vision color camera with cameralink interface is coupled to A Pleora Gigabit Ethernet frame grabber sending images to the surface at a rate up to 20 images per second. The frame grabber also triggers the four strobes and controls the camera exposure time. The use of these open standard interfaces (Camera Link and Gigabit Ethernet) means that future replacement of the camera with a different sensor becomes straight forward. A 12mm Nikon 1” C-mount lens completes the optical system. The 120 VAC is rectified, filleted and converted to 12 and 48 VDC at 300 W each. All additional sensors are based on a serial RS-232 interface to 2, 4 port serial to Ethernet converters (MOXA Nport 5410). Each sensor is supplied with an independent IP address thereby simplifying logging and control. We wrote custom Windows software for displaying and logging data from all of the sensors on HabCam I. Topside network transmissions are used to route data between various pieces of software that need access to it. For example, data from the CTD and the vessel-mounted fathometer are transmitted to a “flying” display, allowing a winch operator to prevent the system from striking the seafloor. HabCam 4 uses four 20 Watt-Second Machine Vision strobes (Perkin Elmer MVS-5000) mounted in underwater housings placed radially around the camera at a distance of about 50 cm. The strobe beams are focused and collimated with fresnel lenses to provide a rectangular beam pattern approximately 1 m2 at an altitude of 3 m off the bottom.